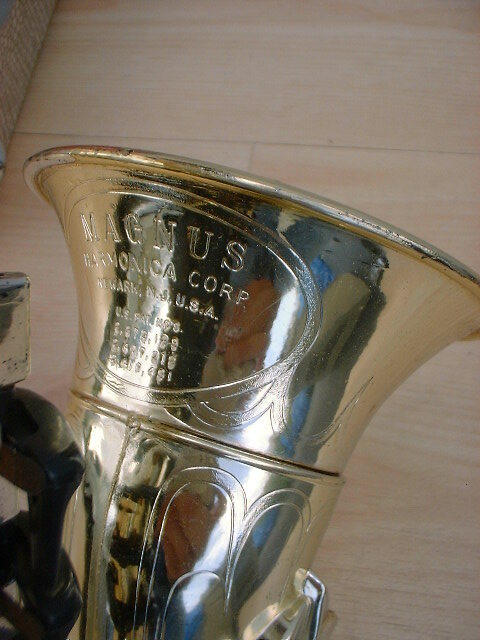 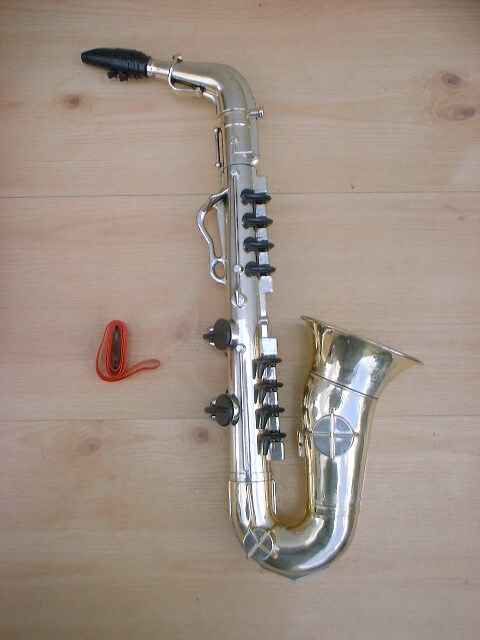 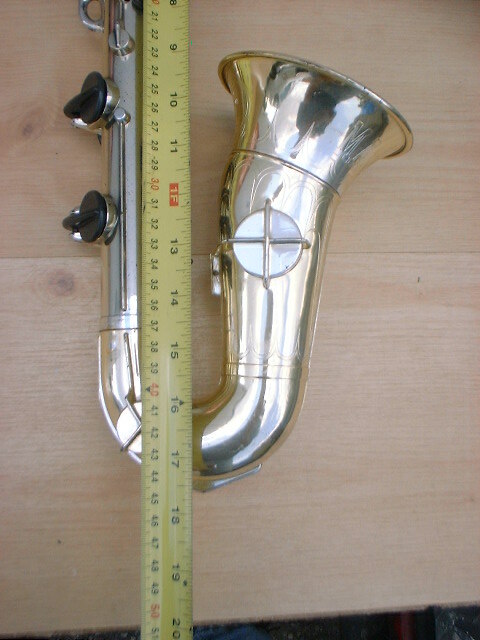 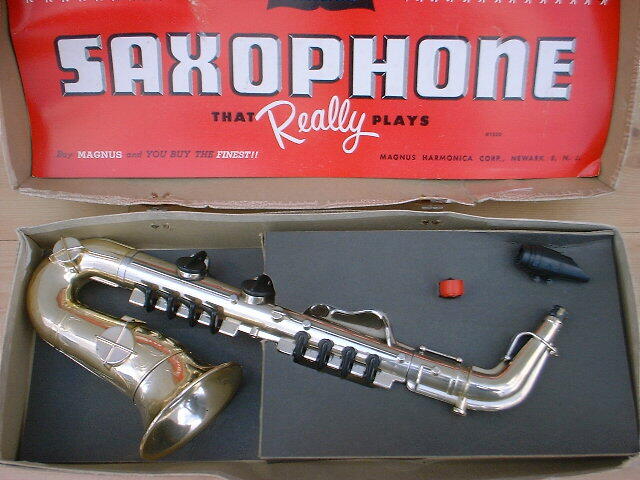 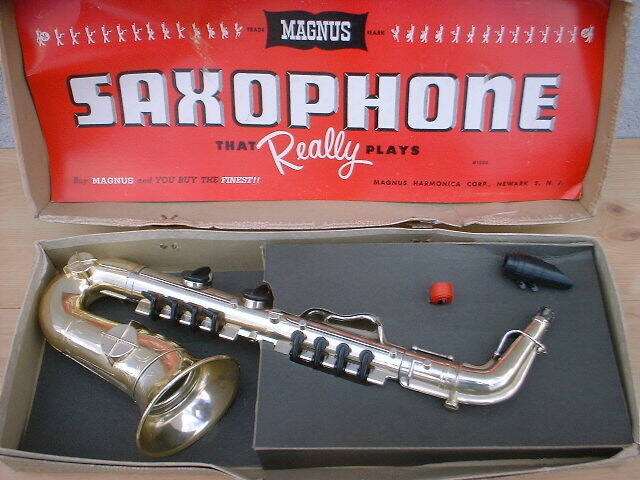 This toy saxophone, “That Really Plays”, by the Magnus company, seems to be very similar to The Gold and Silver Saxophone by Emenee Industries. 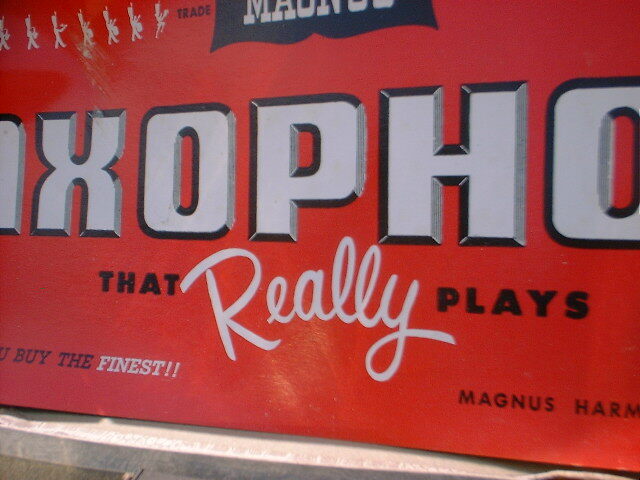 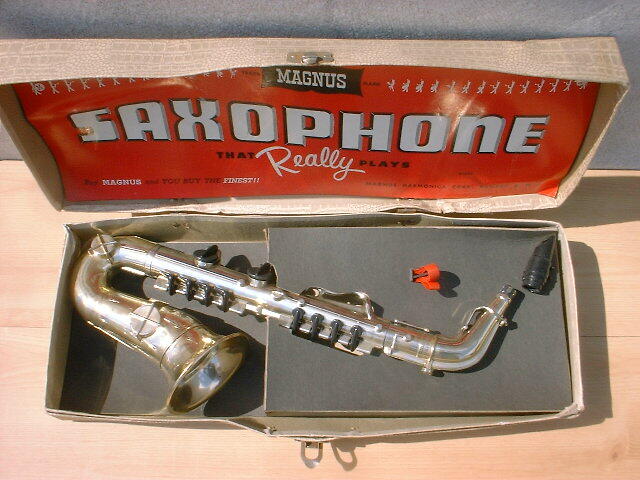 Like both The Silver Saxophone, and The Gold and Silver Saxophone, Magnus’ toy saxophone came with its own carrying case. 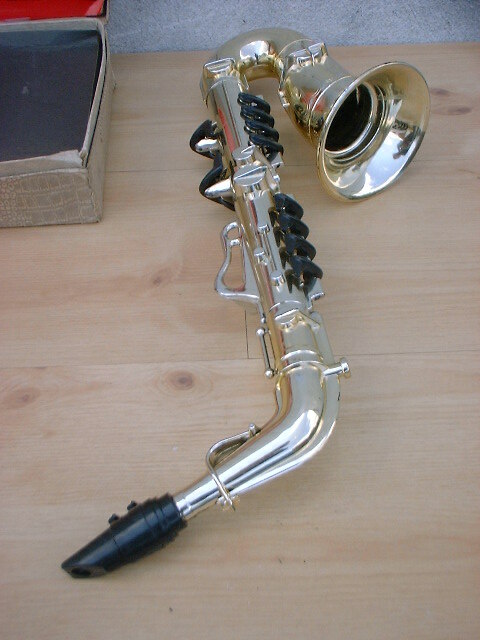 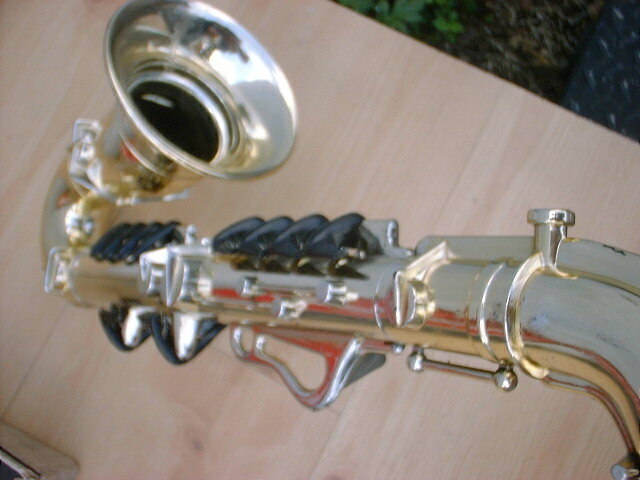 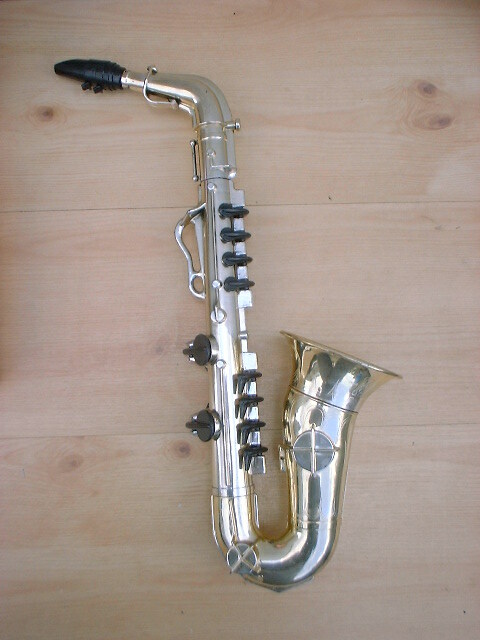 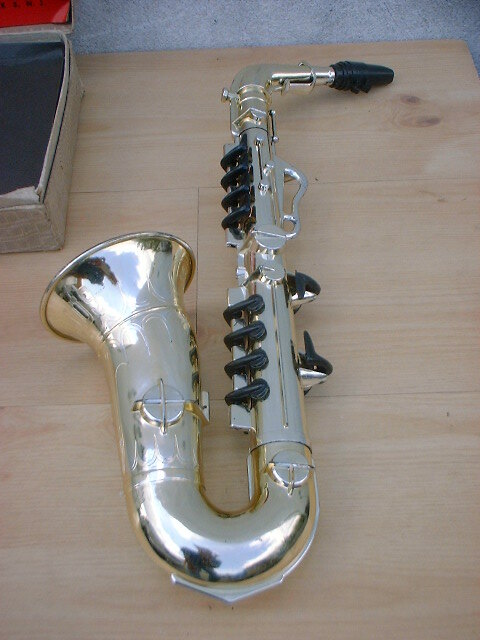 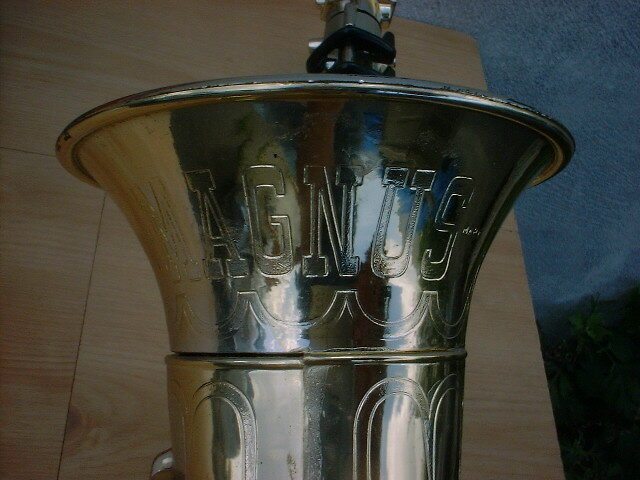 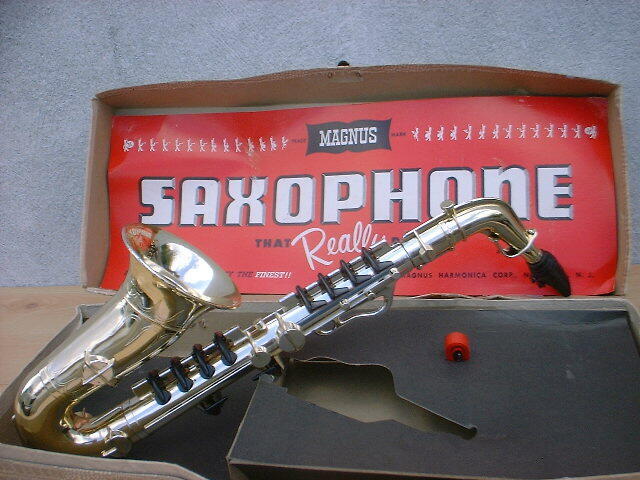 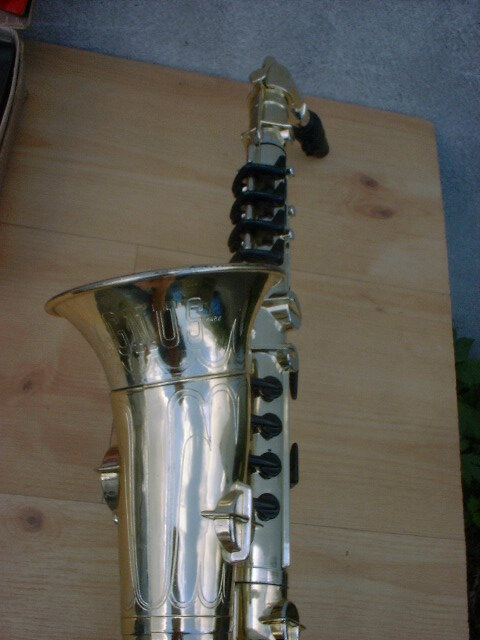 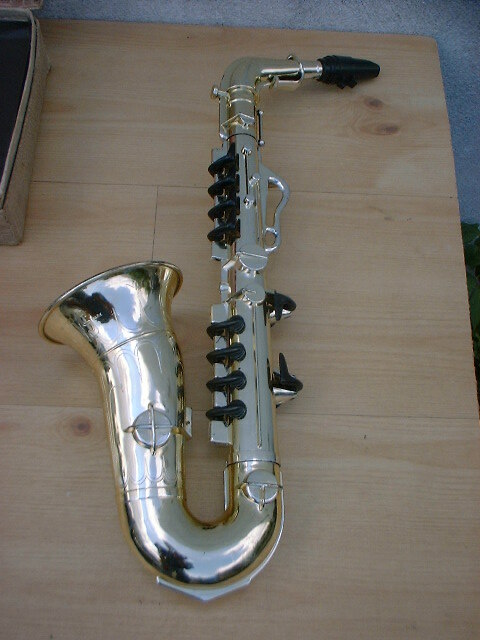 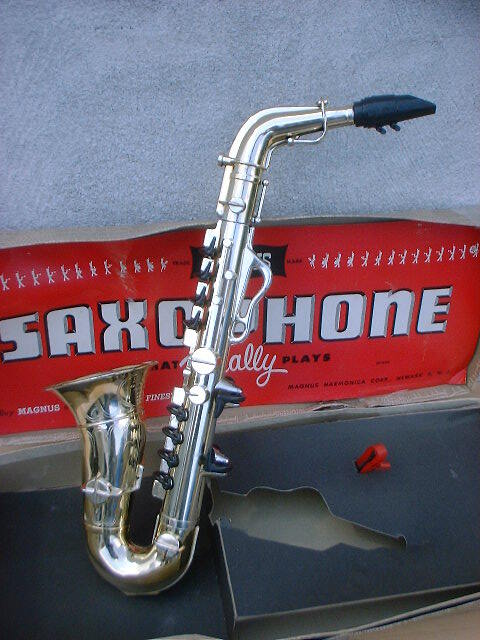 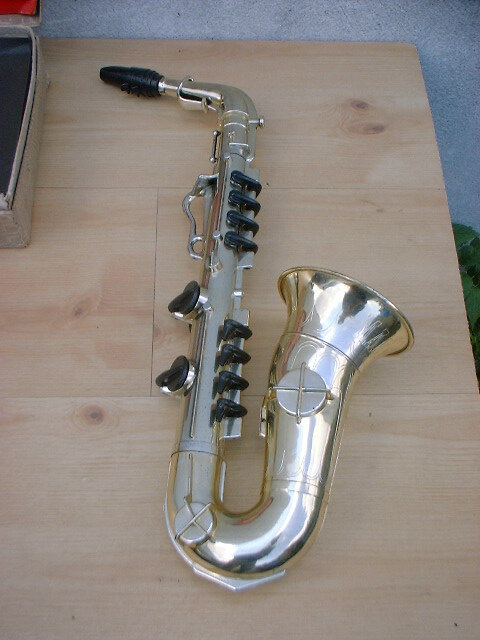 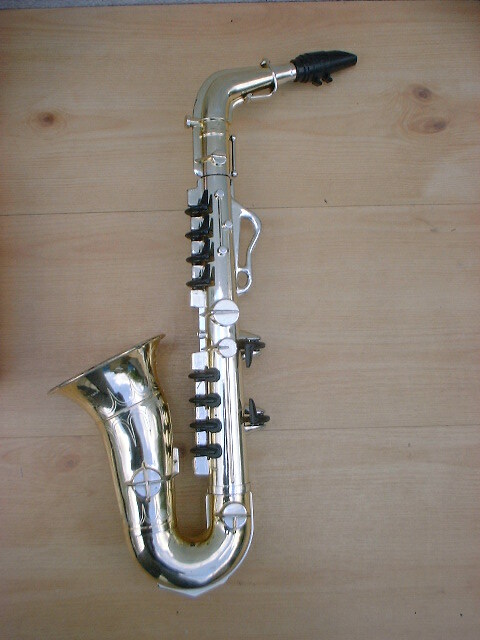 This Magnus Saxophone also bears a striking resemblance to certain models of the Proll-O-Tone Toy Sax. 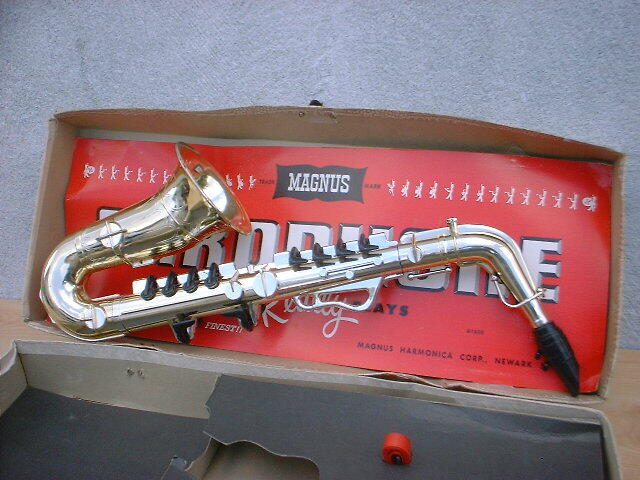 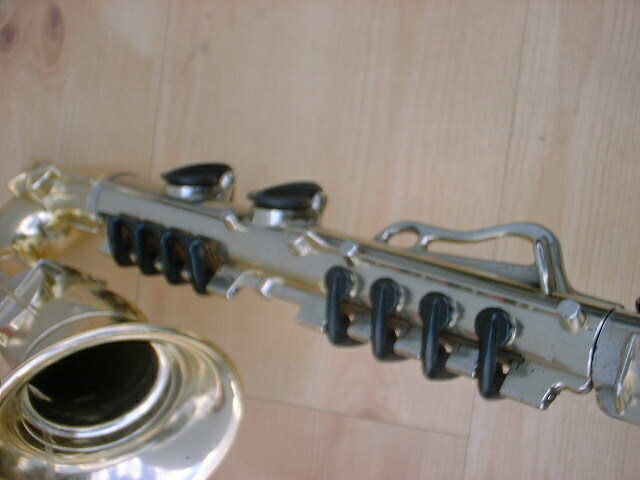 The Proll-O-Tone used a free reed made of plastic, and as does this Magnus Saxophone. 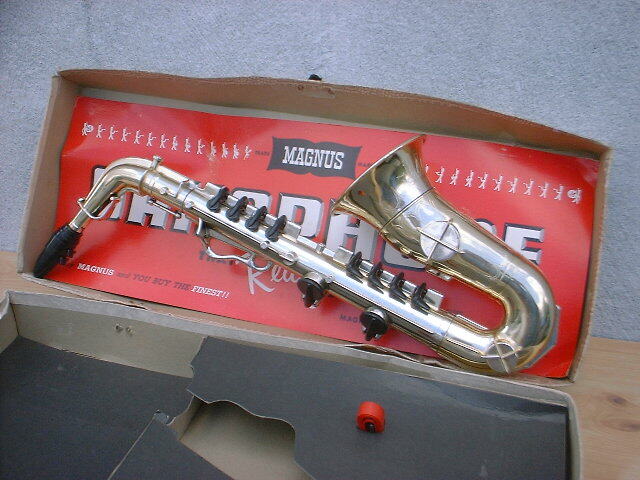 If you compare the Magnus #1500 above, to the Proll-O-Tone No. 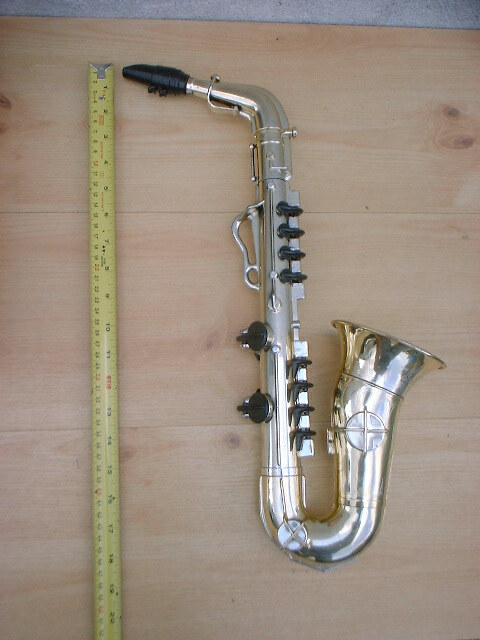 500, you’ll see that they share many common features. 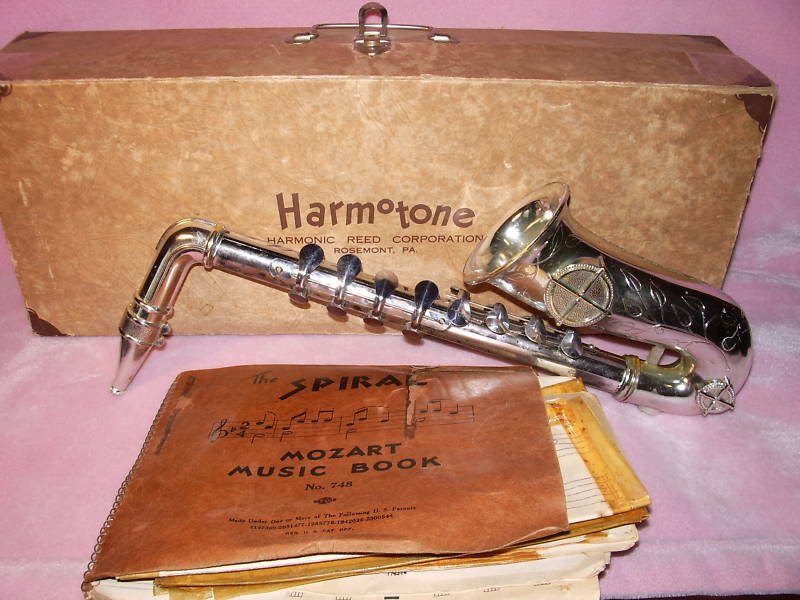 Finn Haakon Magnus design[ed] several harmonicas, small reed organs, accordions and other instruments that utilised plastic reeds and probably held more patents for free reed related designs that any other individual. 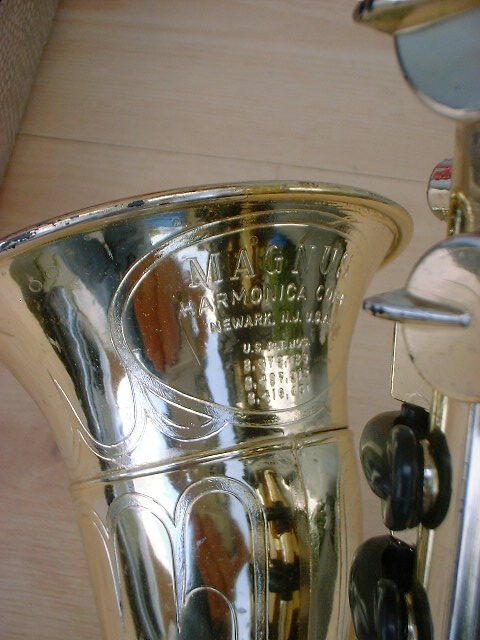 He became involved in the business during WWII, when brass was in short supply due to munitions making and German imports were restricted. 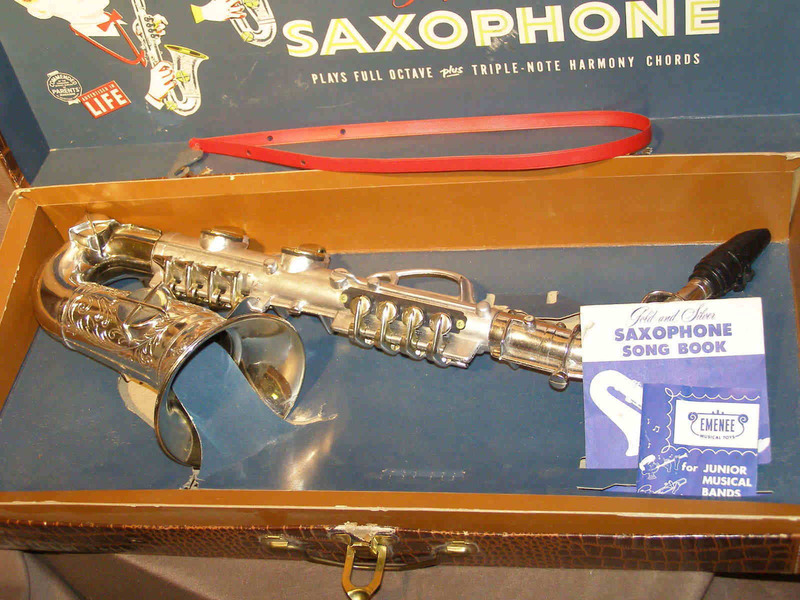 He devised some innovative manufacturing methods that enabled the production of all plastic instruments with a minimum of individual parts, with reedplates and full sets of reeds being injection molded in one piece. 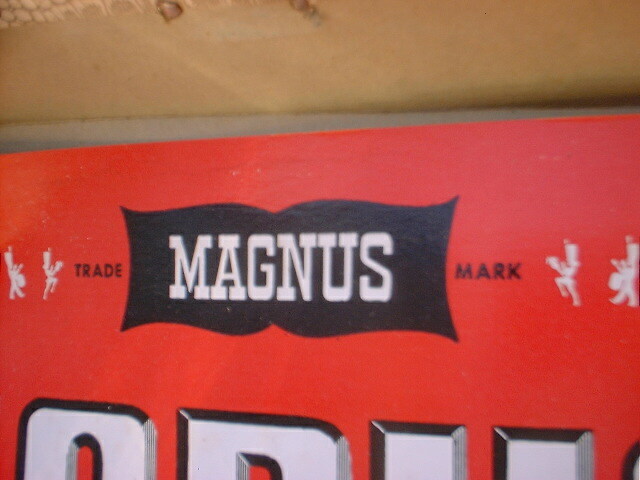 Many of his designs were later made by Proll Toys after Magnus devoted himself to the design of sea fishing vessels! 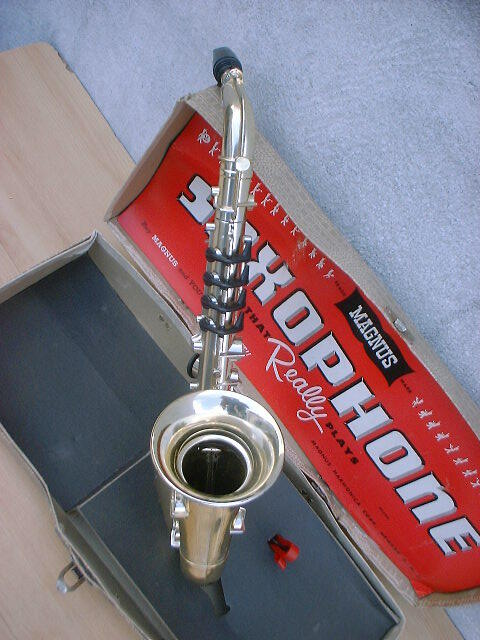 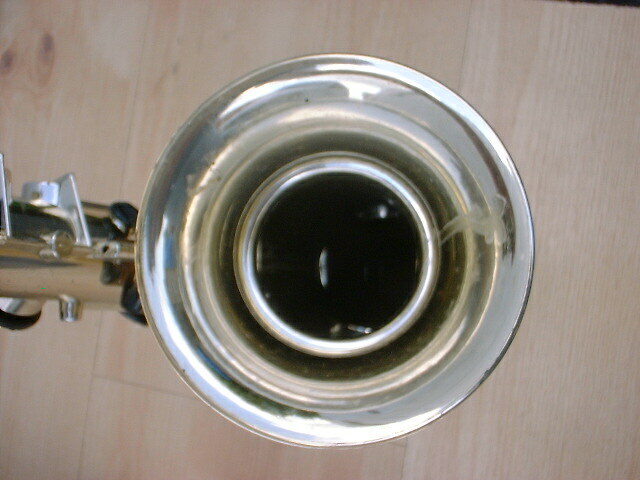 Surprising, plastic reeds do not sound radically different to brass reeds, although they do not seem to hold their pitch quite so well and the manufacturing tolerances that could be achieved with 1950s plastics technology were not as exact as those possible with metals. 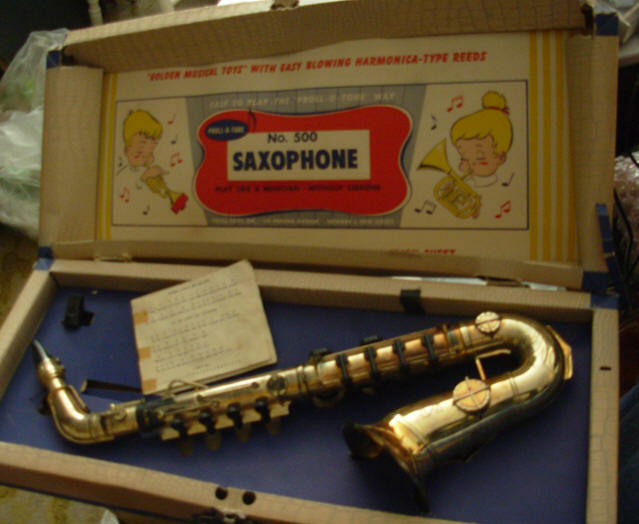 Another vintage toy that looks a lot like the Magnus Saxophone is the Harmotone made by the Harmonic Reed Corp. of Philadelphia. 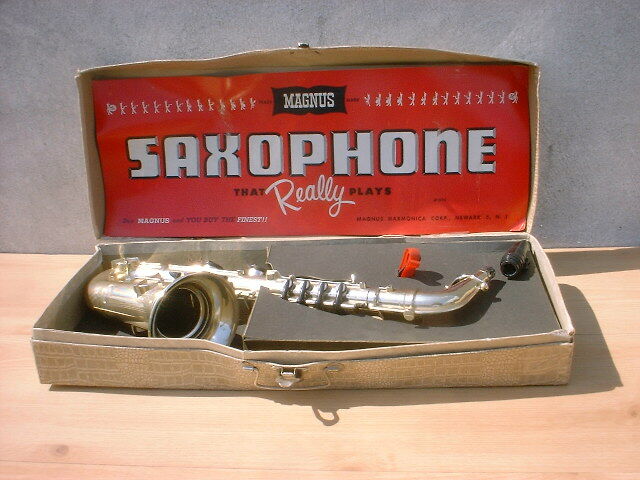 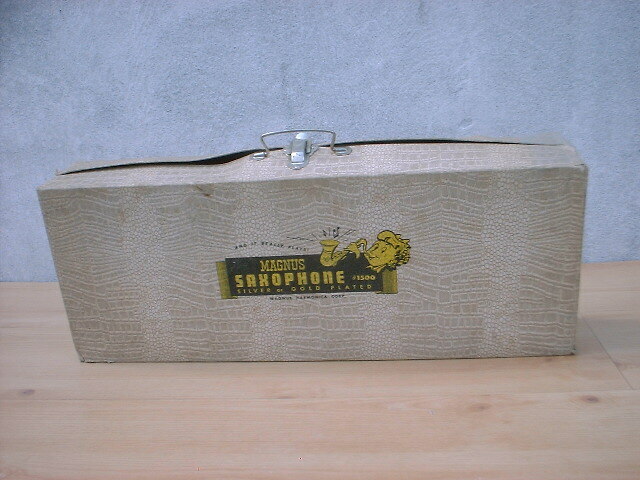 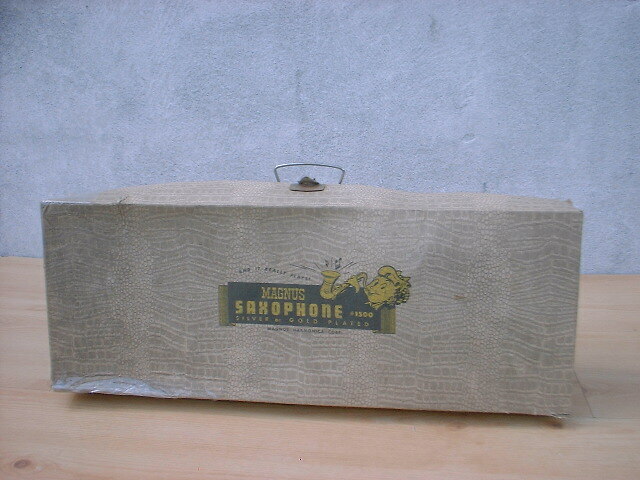 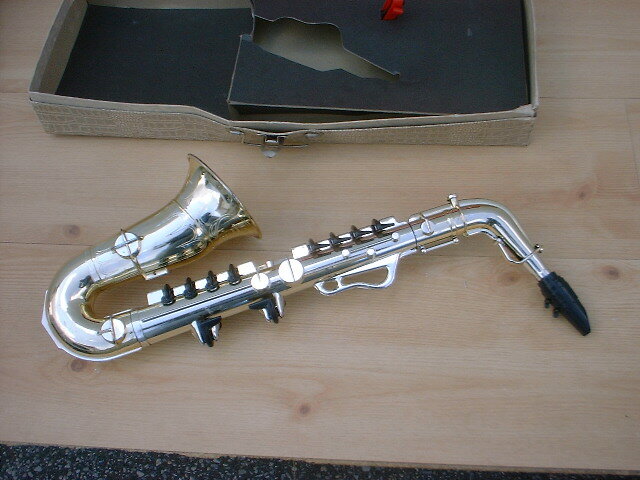 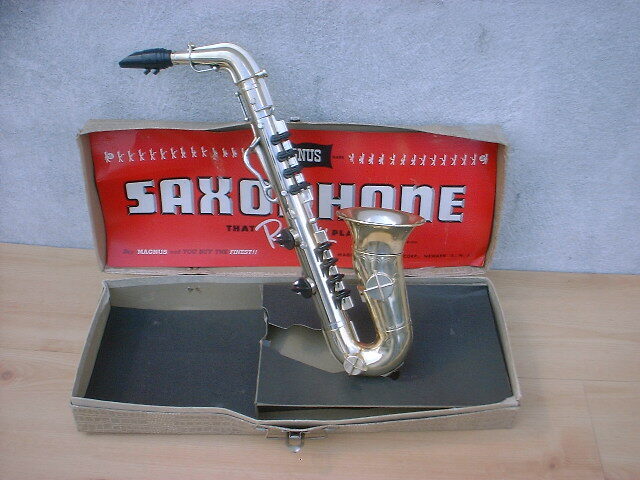 This toy sax too came with its own carrying case that resembled that of a real saxophone. 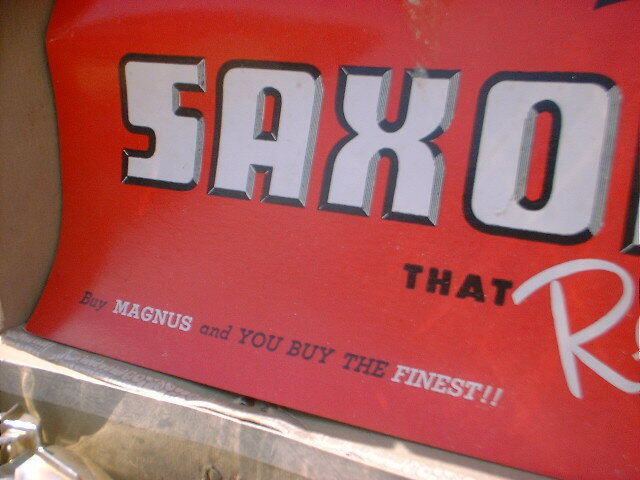 I would venture a guess and say that the all the saxophone-shaped toys from the time that used a plastic reed, were in someway knock-offs of, or connected to, those of Finn Haakon Magnus. 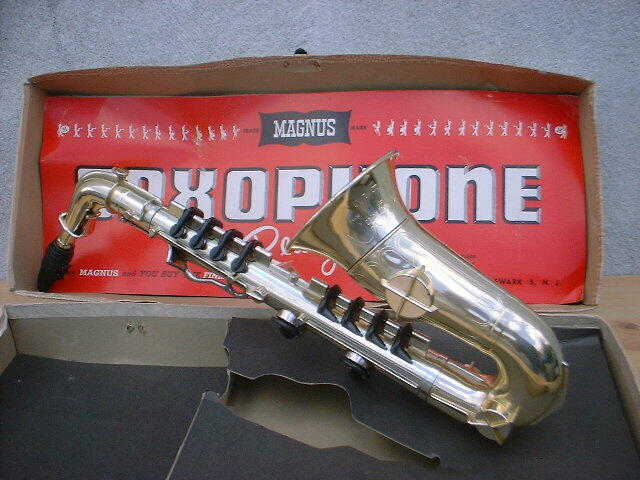 The Magnus Saxophone featured on this page, is likely the one that has the original technological advancements—and patents—which in some way were used in the other saxophone-shaped toys noted on this page. 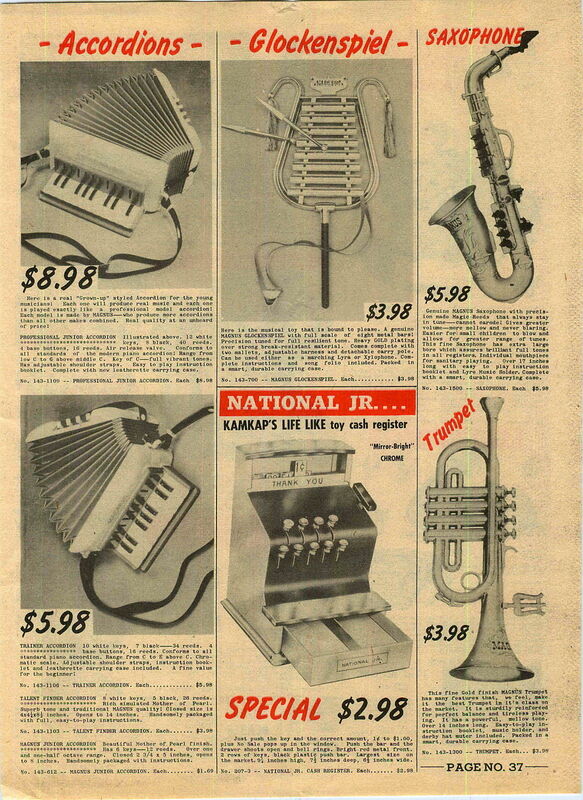 In the summer of 2013, an eBay was selling the following page from a 1957 Western Stationary publication. 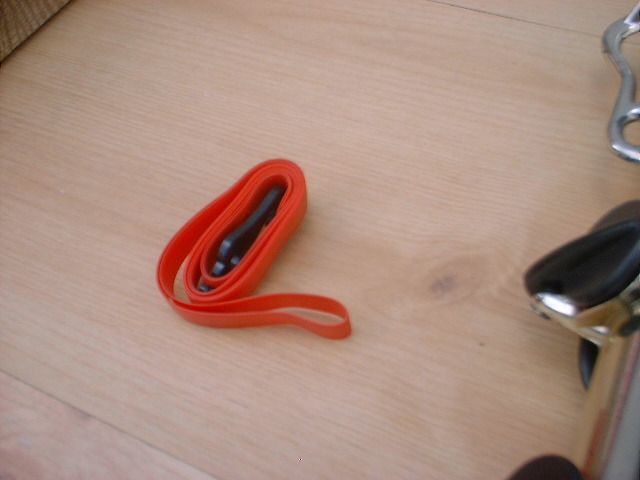 FYI, according to the US Dept. 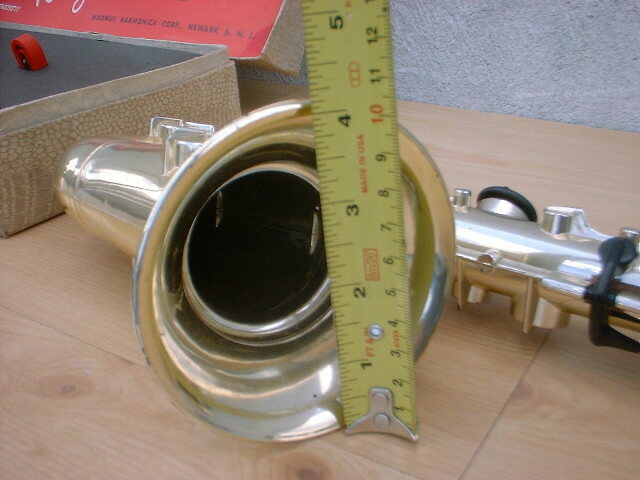 of Labor’s Inflation Calculator, the $5.98 from 1957, would be $49.58 in 2013.